On Wings of Eagles: Do You Have a "YES" Face? 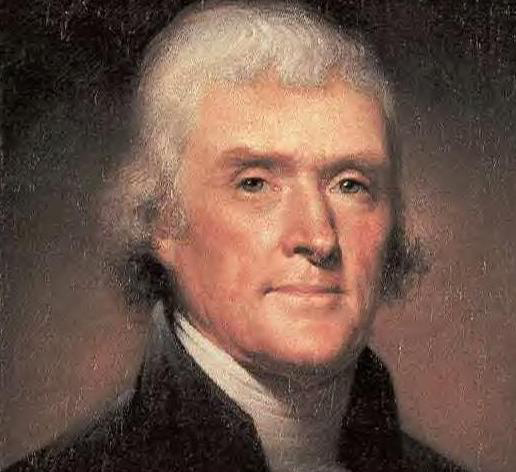 During his days as president, Thomas Jefferson and a group of companions were traveling across the country on horseback. They came to a river which had left its banks because of a recent downpour. The swollen river had washed the bridge away. Each rider was forced to ford the river on horseback, fighting for his life against the rapid currents. The very real possibility of death threatened each rider, which caused a traveler who was not part of their group to step aside and watch. After several had plunged in and made it to the other side, the stranger asked President Jefferson if he would ferry him across the river. The president agreed without hesitation. The man climbed on, and shortly thereafter the two of them made it safely to the other side. As the stranger slid off the back of the saddle onto dry ground, one in the group asked him, "Tell me, why did you select the president to ask this favor of?" The man was shocked, admitting he had no idea it was the president who had helped him. "All I know," he said, "Is that on some of your faces was written the answer 'No,' and on some of them was the answer 'yes.' His was a 'Yes' face." Do you Have “yes” face? In the time of need can your friends come to you and know you are there for them? Dear Lord we pray that we will have a “yes” face. We pray that we will be there for our friends. In Jesus’ name, Amen.